Obituary for Bernabe Torres Rojas | Lanman Funeral Home, Inc.
Funeral service for Bernabe Torres Rojas will be Tuesday, April 3, 2018 at 10:00 a.m. at the United Methodist Church in Ringwood. Burial will follow at Glenwood Cemetery south of Ringwood. Viewing will be Saturday, March 31, 2018 from 10:00 a.m. to 4:00 p.m. and Monday, April 2, 2018 from 9:00 a.m. to 5:00 p.m. The wake will be Monday, April 2, 2018 at 8:00 p.m. at the United Methodist Church in Ringwood. Arrangements are by Lanman Funeral Home, Inc. of Helena. www.lanmanmemorials.com and Facebook: Lanman Funeral Home Inc.
Bernabe Torres Rojas, of Ringwood, passed away early Thursday morning, March 29, 2018, at the age of 65. Bernabe was born the 11th day of June, 1952 in La Loma, Rio Verde San Luis Potosi to his father, Eusevio Rojas Dias and his mother, Evarista Torres Cruz. He attended the Rural Federal Justo Sierra La Loma School in San Luis Potosi. 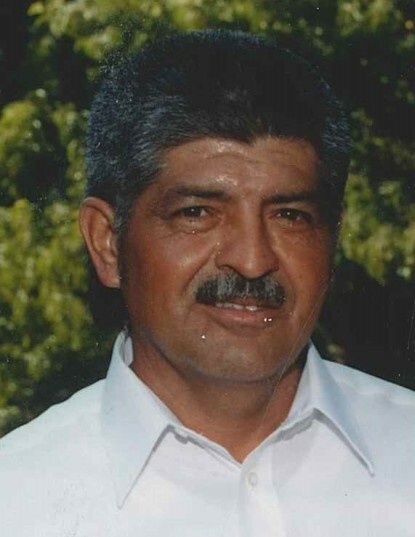 Bernabe came to the United States in the mid 1970’s where he settled in Elk City, was married, raised two children, and lived and worked there for about 30 years. Bernabe was known for his amazing cooking and tremendous gardening skills. He loved growing peppers and a variety of other vegetables. He enjoyed fishing, especially when he got to take his grandkids. Bernabe came to live in Ringwood in 2010. Bernabe is survived by his children, Raquel Rojas of Shawnee, Bernabe Rojas, Jr., daughter-in-law, Megan Rojas and two grandchildren, Bradon and Brynn Rojas of Prague; Margie Rios, the mother of his children, from Elk City; his siblings, Honorio Rojas of Ringwood, Juan Rojas, Victorine Rojas, Pascual Rojas and Rosa Aguilar Rojas, all from La Loma, Rio Verde San Luis Potosi. He is also survived by many, many nieces and nephews. He was preceded in death by his mother and father; brothers, Domingo Rojas and Ignacio Rojas; sisters, Leonor Navarro Rojas, Fileberta Rojas, Costa Rojas and Juana Hernandez.